Despite ranks of highly paid executives and advisors, big companies can take decisions that seem at best baffling and at worst self-destructive. So how do such big organisations, led by well-paid chief executives and with the money to hire the best staff and advisers, get into such trouble and what lessons could we learn that apply to the education sector? 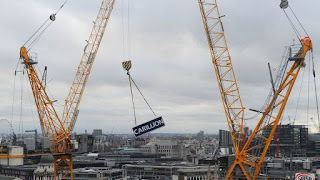 Carillion - a huge construction company signed contracts with profit margins so fine, that delays resulted in huge losses. Nokia, which once dominated the market for mobile phones, until it failed to recognise the challenge from the iPhone. There are some classic traps that big firms are vulnerable to. Let's call them the "deadly sins" of the corporate world. In August 2008 Gary Hoffman walked into the offices of Northern Rock in Newcastle. He had been appointed chief executive of the mortgage lender which had been taken over by the government earlier in the year after almost collapsing. One of his first impressions was the "palatial" offices and the even more luxurious headquarters that were under construction. "The leadership had lost connection with the real world," Mr Hoffman says. "They were in large offices, separate from their colleagues. It was physically difficult for their colleagues to speak to them." "Leaders had got carried away with their own personal and corporate ambitions," he says. In Mr Hoffman's opinion: "The higher you get up your organisation, it is even more important that you ground yourself." "And if you're not careful, people will not tell you when things are going wrong." HOW OFTEN DOES THE SENIOR LEADERSHIP CONNECT WITH MIDDLE LEADERSHIP? HOW OFTEN ARE LEADERS ON THE GATE, IN THE PLAYGROUND, WALKING THE CORRIDORS? HOW CAN STAFF COMMUNICATE HOW THEY FEEL - IS THERE AN ANNUAL STAFF SURVEY? Bill Grimsey is a veteran retailer, who has seen what a big company in trouble looks like. In 1996 he was appointed chief executive of the DIY chain Wickes which was in danger of collapsing due to an accounting fraud. He raised fresh finance at the company and changed its culture. One technique that he found helpful was to spend a week each year working at a different branch and finding out what problems the staff were having. "You mustn't underestimate the influence of the leader on the business," he says. He has come across chief executives who govern by fear, leaving their managers worried about losing their jobs and just "doing as they're told". Under those circumstances Mr Grimsey said staff can resort to desperate measures, like faking the numbers to keep their boss happy. IS THERE A CULTURE OF PROFESSIONAL CHALLENGE RATHER THAN BLAME? ARE THERE SYSTEMS IN PLACE TO IDENTIFY ISSUES EARLY ON SO THAT THEY CAN BE DEALT WITH... OR DO PROBLEMS SPRING UP WITHOUT WARNING? HOW OFTEN ARE LEADERS 'IN THE TRENCHES' WITH STAFF TO SEE WHAT THE ISSUES MIGHT BE FIRST HAND? "Anyone can grow fast," says Mr Hoffman. He points to the low-cost airline business, where customers love the cheap prices, but maybe some airlines are just not charging enough to survive. Last year saw both Monarch Airlines and Air Berlin both fail after racking up big losses. Chief executives need to ensure that everything they do is "anchored in the principles of profitability", which sounds obvious. But Mr Hoffman says bosses can be blinded by growth for growth's sake. Mr Grimsey says: "It's when they become complacent, they keep delivering the same things day-in and day-out and fail to recognise that consumers change in terms of their style and interests and their behaviour patterns." DOES YOUR MAT, OR FEDERATION, HAVE THE CAPACITY TO ADD MORE SCHOOLS AND HAVE A POSITIVE IMPACT? According to Mr Grimsey boards of directors spend too much time worrying about the pay and bonuses of the top executives. "If you look at the history of the last 15 years in corporate Britain, particularly retailing, particularly public companies, these people have become greedy. "You've got to stop being greedy at the top and start sharing. You've got to spread the rewards through out the organisation. He points to John Lewis as a better model for paying staff. Each year shop floor workers get a share of the profits (even if, in March this year, John Lewis Partnership announced bonuses had been cut for the fifth year in a row). ARE ALL ASPECTS OF THE SCHOOL REVIEWED EQUALLY? IS THE LEADERSHIP STRUCTURE SUSTAINABLE? In some companies "there is a lot of focus placed on creating a facade that makes things looks good," says Prof Spicer. This can include spending excessive amounts of money on branding initiatives, or introducing management fads and fashions. Both of those could involve spending too much on consultants, which in some cases "outsources responsibility", he says. Enron is a good example of a company that built a brilliant facade that hid deep problems, says Prof Spicer. 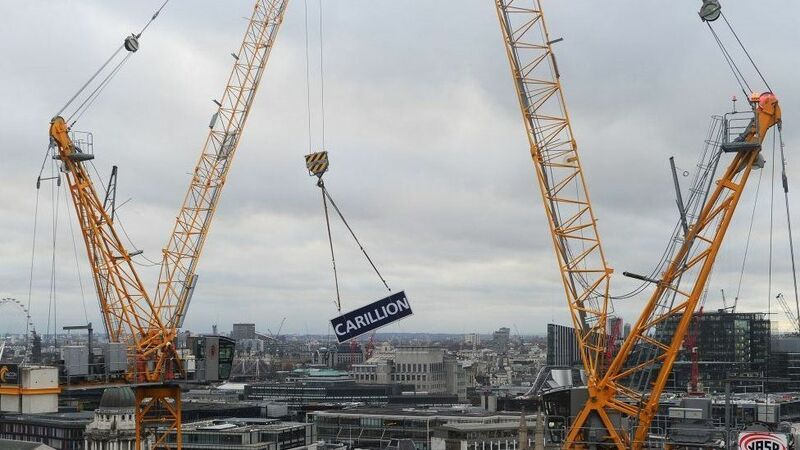 The energy firm had been lauded in the press for disrupting the energy industry, but had been hiding billions of dollars of debts and collapsed in 2001 - at the time the biggest failure in US corporate history. Prof Spicer warns it is "far easier" to change a company's image than make real changes. IF YOU INTRODUCE SOMETHING NEW, DO YOU REMOVE SOMETHING ELSE? HOW DO YOU MONITOR NEW 'IDEAS' TO CHECK THEY ARE HAVING THE IMPACT PROMISED?